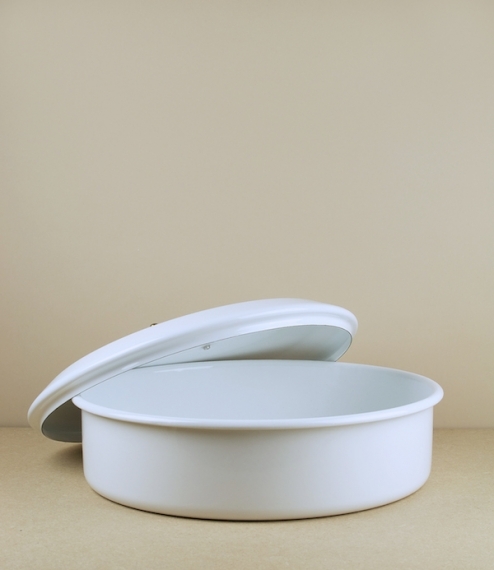 A large white vitreous enamel cake, bread, or biscuit tin. Brass handle. 36cm diameter and about 14cm high. 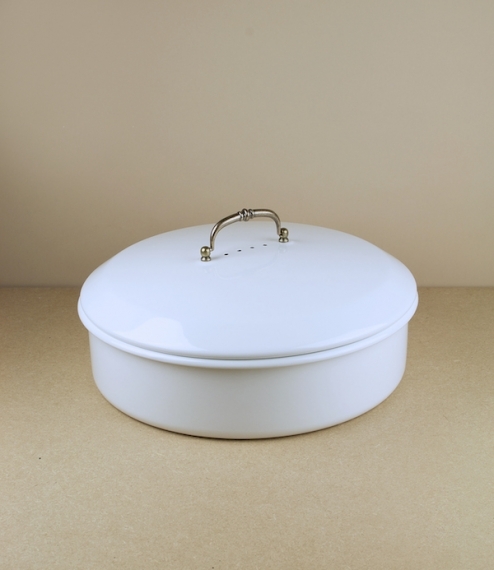 Like all Riess enamelware this is impressively solid and uncommonly well made. Made in their own hydro powered workshops in the Austrian town of Ybbsitz.